Armenia is a landlocked, mountainous country in the South Caucasus region of Eurasia. The official language is Armenian. Below is a selection of resources for searching for employment opportunities as a foreigner in Armenia. JobFinder.am: Job Finder is one of the largest job search sites specific to Armenia. Use Google Translate if you are an English-speaker and want to navigate the site. Job.am: A good job search engine with Armenian job opportunities. United Nations Development Program: If you have ever wanted to work for the United Nations, check this site out as they have postings in Armenia from time to time. American University of Armenia: The American University of Armenia is a great site to check out if you are in Academia. They also have a summer study abroad program if you want to gain some experience in the country (without the longer term decision of getting an actual job). HR.am: You will find that the listings on HR.am are mostly geared towards Armenians, but you can’t score if you don’t shoot. Translate your resume and send it in. See what happens. Career Jet: I’m sure you have heard of Career Jet. It is a giant job search engine. They have search listings in Armenia. Career Center: Career Center has job postings, internship, and scholarship opportunities. Teaching English will be your easiest option (if you are a native English speaker that is). All of the sites below are pretty similar and have a massive amount of teaching English job options. Browse through each of the sites for any Armenia job opportunities. Also, be sure to check out this cool table from the International TEFL academy that shows how much money teachers can expect to make in various countries around the world. There you have it. 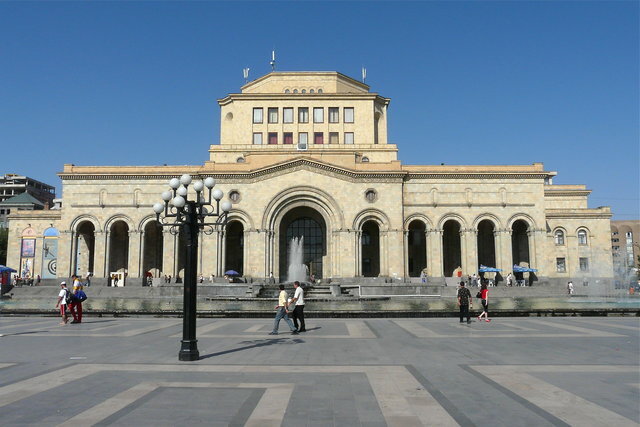 The best places to find jobs in Armenia as a foreigner. For information on visas for Armenia, be sure to check out my Armenia visa page.